First of all, a few things actually got less comfortable. 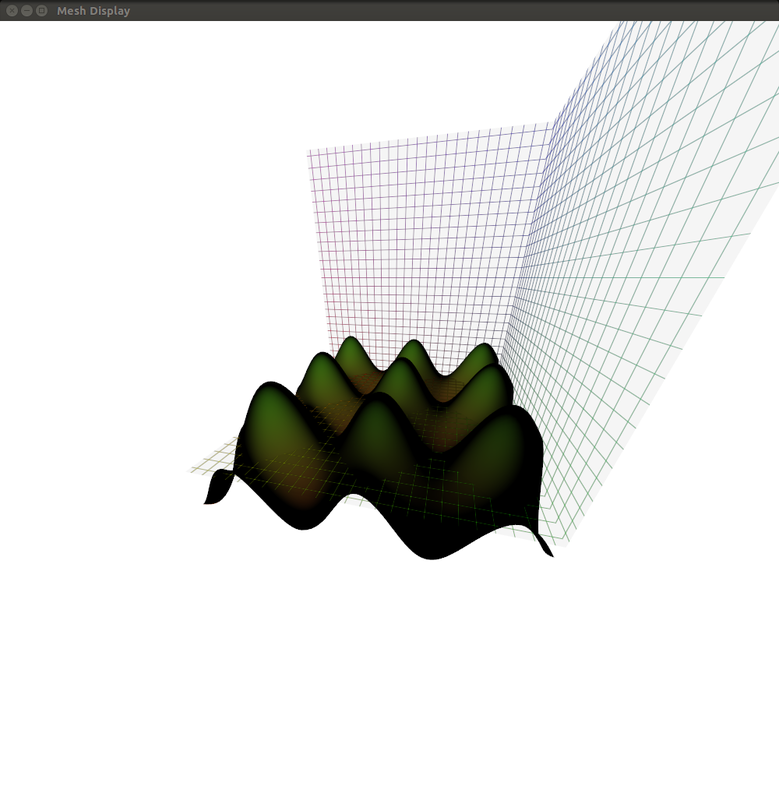 That’s because I stopped acting like I have a scene Graph and now fully expose the render loop. I think this offers greater flexibility for early adopters. That means instead of display I rather expose the function toopengl, which I intend to use to build up the scene graph later on. Also I’m not fully happy with the API, but that is to be expected, as I haven’t figured out the scene graph and its interaction with React yet. BUT, I have most of the pieces together now, to do the basic render operations, which you would expect from a 3D plotting package and most of the render attributes can be be time changing signals, which enables nice animation capabilities. By the way, all shaders are interactive now by default. 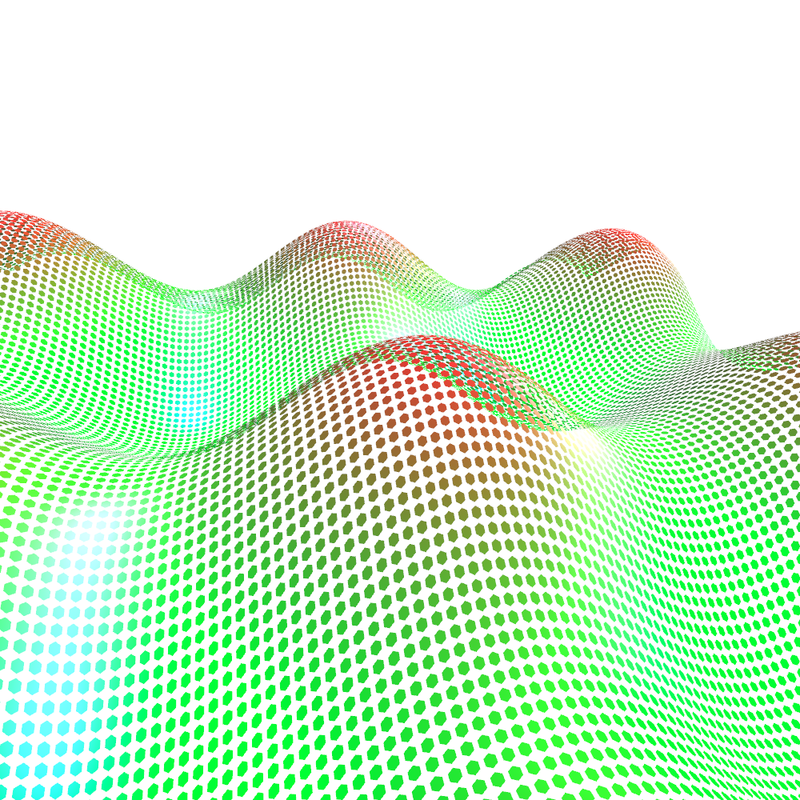 For example if you run example/surface.jl, GLPlot/src/shader/phongblinn.frag might be interesting. All updates are not on github yet, as I still need to put some work into this to expose it within an API. 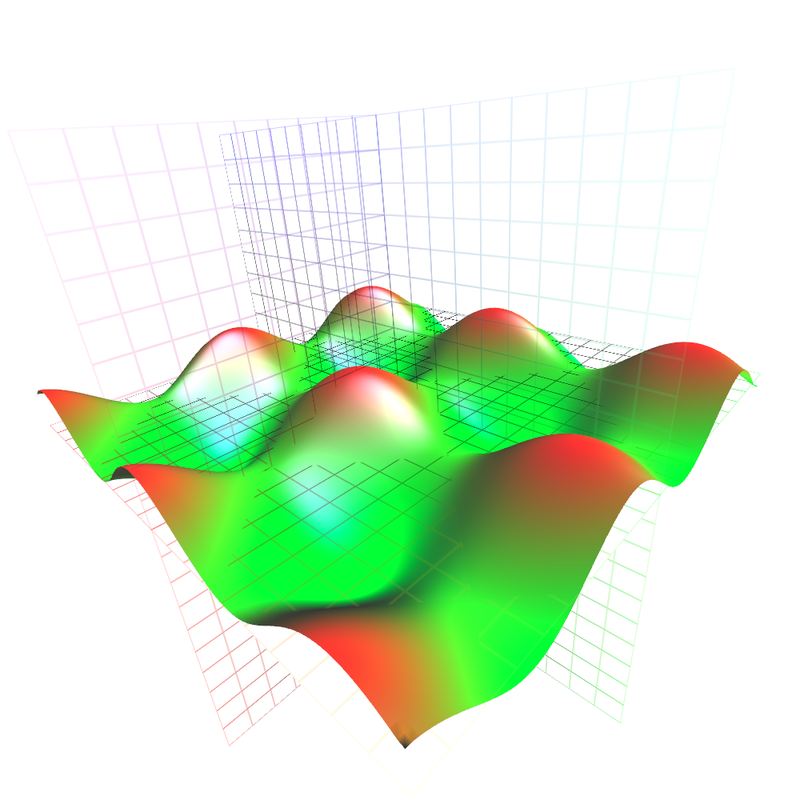 This can be used for any grid based surface/histogram/bar graph rendering,but can also be extended to be used as a particle system.creates a grid x*y, where for every tuple (x,y) attributes will be read from the attributes at position (x,y), which will be applied to the primitive for every position in x*y. The last API is a little bit difficult to implement, if I want to make it fully transparent and customizable for the user, as they are dependent on some shader. But for now, I can have some predefined attributes like width, height, xpos, ypos, color and only expose them to the user. 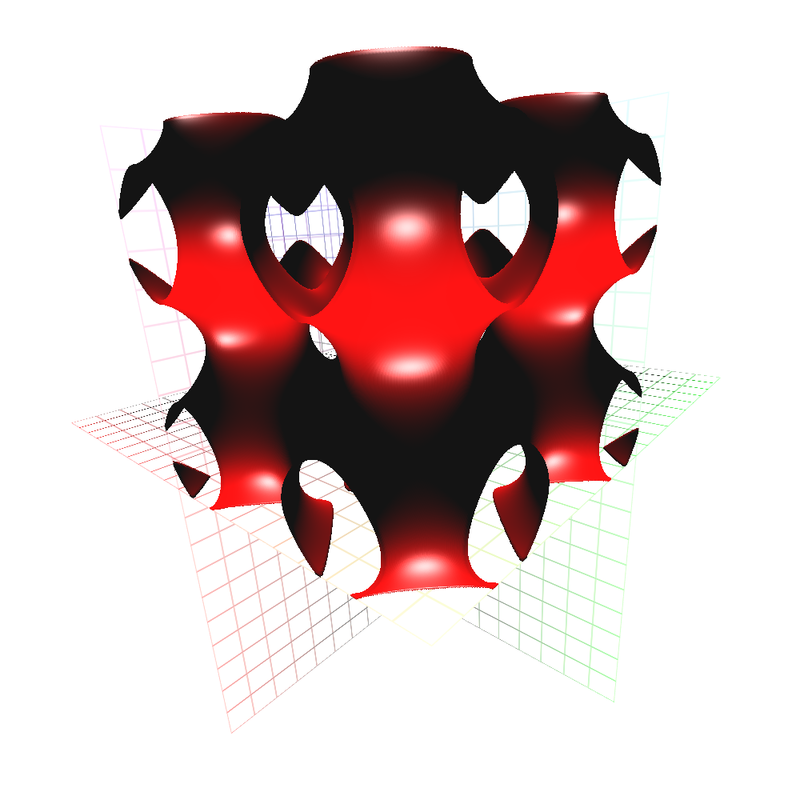 Example renders are under the point Surfaces. If we advance the OpenCL/OpenGL interoperability, the Texture in attributes and image, can also be an OpenCL Image/Buffer, which would make it possible to render any results from OpenCL easily to the screen. This also works for surfaces and 3D textures, but is not implemented yet. This approach only needs to upload one third of the data compared to my previous approach, but as a downside requires OpenGL 3.3. The camera is still horrible, but at least works now completely with React. Glitches, which come from previous values, because signal doesn’t start from zero for a new drag operation. I started with the groundwork for a general 3d picking framework, which will allow for some awesome selection API together with React. This will allow for very precise information for every mouse position, like distance of object, group it belongs to, coordinates in some custom coordinate space. Like that, precise Mesh/Particle/Volume/Text/UI-Element selection and editable object pivots just got one step closer! I made some progress with rendering techniques, but mainly for surface rendering. You can find some more details concerning the future API on GLPlot.jl. I’m getting closer to fully integrate React.jl, which makes some code a lot nicer, but there are also some parts which got more messy. I hope that’s due to the fact, that I’m not fully used to “reactive thinking” yet. Shashi is being very helpful and I’m positive, that integrating React.jl will make it a lot easier to interact with all the plotting parameters. 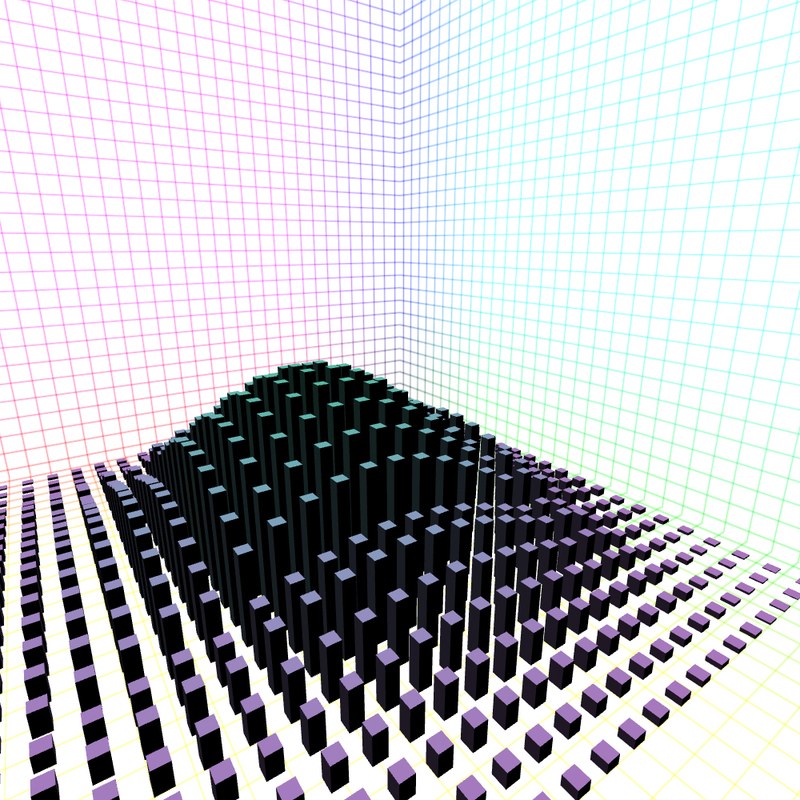 Furthermore, I cleaned up a few bugs and integrated an OpenGL debug callback. But debugging with OpenGL differs a little from graphic card to graphic card, so I still need to figure out a few things there. I started looking into a custom framebuffer pipeline, which will hopefully enable me to do pretty cool things. Valentine and I got OpenGL, OpenCL data exchange going! It’s still in an early phase, but I’m looking forward to incorporate transition functions and performance tweaks. Also, I integrated React.jl into my code, which seems to work quite lovely. It offers a little more functionality and nicer design than my current event system, but it’s also a little slower. It’ll be interesting to see, how the advantages will play out in my system architecture. 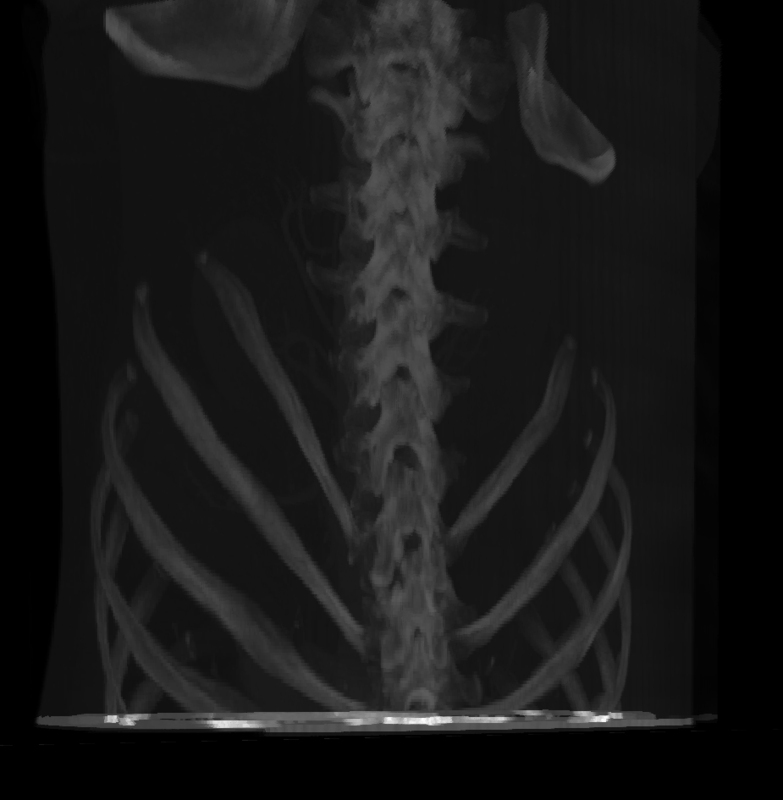 Camera is working quite alright now, though still far from pleasant. If your graphic card has shader model >= 130 you can even try out the example. If you don’t have my unregistered packages, there is packages.jl which you can execute to get all the needed packages. No lighting, as I still haven’t started to calculate the normals in a generic and future proof way. Feel free to report bugs on Github. This project is about writing volumetric, particle and surface visualizations entirely in Julia and OpenGL. 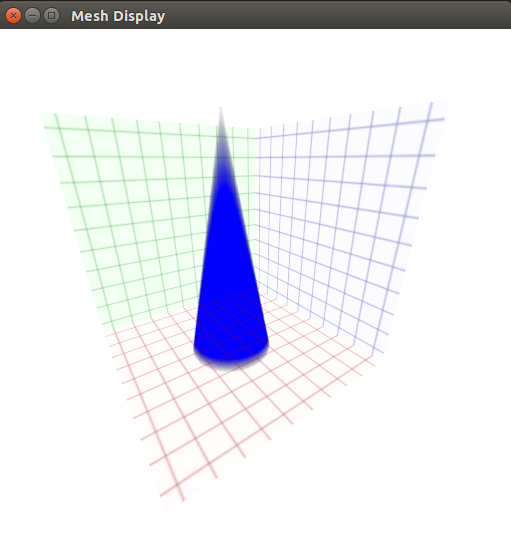 Along the way, I want to improve Julia’s OpenGL capabilities in general.